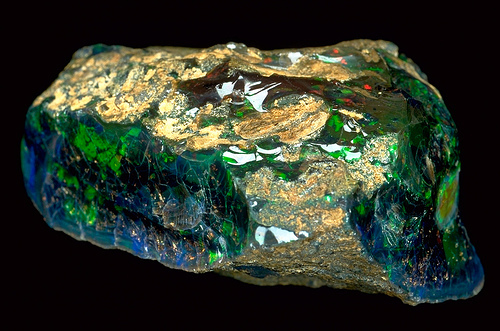 Emeralds are one of the most gorgeous gemstones in the mineral world. The alluring green stone is quite brittle and finding a large, one-piece emerald and fashioning it into a gem ready for setting is in itself a daunting task. This rare beauty takes a very interesting turn and is much rarer still if it displays chatoyancy. A cat’s eye emerald is a rarity. Just to get to see one is tremendous good luck. Take a look at this gigantic cat’s eye emerald cut en cabochon. This stunning behemoth of 12.56 carats from the famed Muzo mines of Colombia sits mounted in a white gold and has flawless diamonds encircling it and accenting it down in a double row into the shank. The powers of Mercury, the god of trade, communication and well, numbers get combined with the intuitive wisdom of the Dragon’s antinode in this one superbly crafted ring. Not to mention the influence of lux and aesthete brought along by diamonds, signifying the powers of Venus. The owner has a lot going for him/ her! What makes this a spectacle? Well, there may be some cat’s eye emeralds that you may encounter in the mineral kingdom, but this one takes the cake as it displays five superb chatoyant bands, opening and closing as light falls on it. There are very fine tubular channels/ inclusions, occurring naturally, also known as silk that run within the gem. When light falls on the gem, the sharp bands of light are formed perpendicular to these hollow tubular structures. Cat’s eye emeralds are extremely rare and are known to come in only from Colombia or Brazil. More often than not they exist in paler shades only. Chatoyant emeralds are finished as cabochons for they help to accentuate the display of this effect. 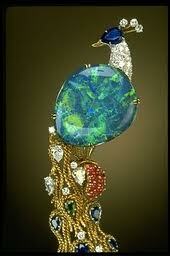 In 2001, Christies closed the sale of a cat’s eye emerald cabochon from Brazil of 6. 89carats at a whopping USD ($)81,707! You can take a wild guess at its price, what this pristine beauty would fetch. Some days the numbers are just not enough! This is year 2011 and this wonder is double the size of what was sold at Christies. Comments Gemstones such as these come once in a lifetime and that we were associated with its journey makes us feel blessed. Just to hold and view this beauty and feel its powers is enough. Secured for a patron who has Mercury, Venus and Ketu in a powerful position together this exquisite vintage Cats Eye emerald was secured for him. With brilliant Diamonds the blessings of all three planets will accrue to him. It is this combination that has chosen him. Powerful Gems such as these choose their owner and not vice versa. Signifying our deep rooted belief that a Gem is for a Gem, we thank our patron for giving us an opportunity for this adventure and that this vintage beauty comes from the Gemstoneuniverse stable makes us extremely proud. Note: Thank You Dear Patron for your gracious comments and testimonial. The entire effort was worth it. Gemstoneuniverse- No comparison No Competition. What exactly is the royal Blue color in Blue Sapphires? Believe what you see! 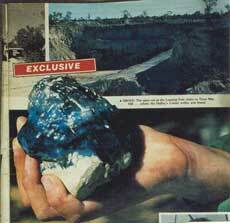 A powerhouse of Saturn Energy in this most potent Blue Sapphire from the Gemstoneuniverse treasure vault!. Yes a 4+ carat, fully natural and unheated Blue Sapphire with the most desirable and alluring Royal Blue Color from the famed Gem fields of Ratnapura Srilanka. What makes this Gemstone so special is that it is 4+ carats, fully untreated, has the royal blue color and a clarity level of 95% that makes it collectible grade and nearly impossible to find in a natural gem this size. The mixed cushion cut highlights the color, scintillation and the lustre and the dimensions of the Gemstone give it a royal spread. A Blue Sapphire that signifies a Gem is for a Gem, this powerful Blue Sapphire will choose its very special owner. 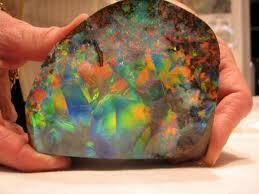 To view the video of this magnificent earth mined beauty live click here. You can feel the energy long distance itself. 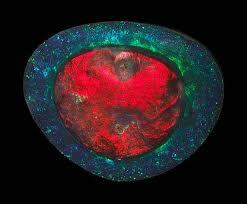 This is one of those fine specimens of nature that truly signify what exactly a Jyotish Gem should be. Earlier also a very premium lot of Blue Sapphires with the Royal Blue color was uploaded. What better way to understand color than to view it in 3D. View the video below to appreciate the color and the miracle of nature. Vedic Puja of Gemstones-The vital purity portion of consecration to get the most powerful results! Consecration, by dictionary definition refers to setting apart for sacred use. When we say that your talisman viz. a ring, a pendant or any other talisman is consecrated and energized in your name, it refers to a process where by the talisman is set apart in the scheme of universe to be of singular use to you and only you. The talisman’s vital energy is boosted over several times by Vedic mantras and it’s intrinsic energies are synced with YOUR person, specifically. 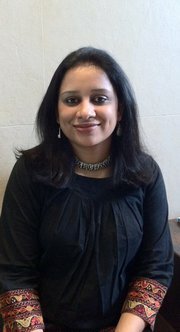 Just like fingerprints are unique and your DNA is unique, the combination of your name, nakshatra (constellation) and rashi/ rasi (moon sign) collectively carry the coding of your spiritual identity, your real DNA! When a talisman is made, the process itself is started at an auspicious time that would be conducive to realization of your objectives, using electional astrology. Once the talisman is ready, it is then ‘consecrated and energized’! By consecration is meant the essential process of the shodashopchar puja. According to the Hindu sacred texts only the shodashopchar puja/ consecration of 16 sacred steps is regarded as the complete prayer ritual. Before beginning of the puja, a sankalpa (stricture akin to a sacred oath) is taken chanting the name, nakshtra and rasi of the individual for whom the talisman has been made and objectives are spelled clearly for attaining which, the individual desires to wear the talisman of establish it in a sacred space. A symbolic representation of the presiding deity of the gemstone talisman is also established and offered pujas. View the video below that has short clippings of the whole Vedic Pooja of a Planetary Gemstone! In this case a Blue Sapphire was being consecrated for a patron. 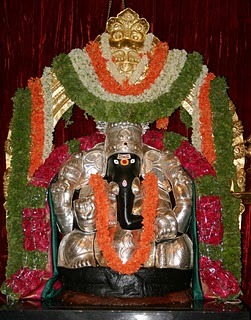 Note the placement of The Blue Sapphire on the Hand of Lord Ganapathi-The Ultimate Blessing! – Paadyam or washing the feet, as has been done traditionally for ages, to welcome a guest. – Snanam or bathing the deity with water, milk, curds, ghee (clarified butter), honey and sugar (these are then collected as panchamrata/ panchamrita (five nectars) and distributed as prasadam). The deity is again given a cleansing bath with Vermillion, tumeric and flowers mixed in water one by one. In essence, the powers of the deity are invoked as requested to make abode in the talisman and work for gain of objectives and general welfare of the individual in question. At all times the appropriate mantras are chanted. It is a holistic process that is meticulously carried out at our end so that all you have to do is to wear the gem see your life turn around for the better. The pujas done is carried out by Vedic priests who have been rigorously trained at the Vedic Paathshaalas (vedic schools) from their childhood. All processes are followed to the T to ensure that sanctity and purity are maintained and that the blessings of the presiding deity of the Gemstone ring/Talisman and Lord Ganesha- The Lord who is the remover of all obstacles reach you! Note: Some of you dear patrons send us a mail asking should any mantra be chanted on the date of wearing the ring this is for you- Much as we understand your dedication to do these procedures please understand that your Vedic Gemstone Ring/Pendant/talisman has undergone a full fledged Shodashopchara pooja. To get the best benefits please just follow the instructions sent to you to get the best results! You do not have to perform any other procedures. Keep your therapy error free. An Introduction to Yellow Sapphire/ Pukhraj-The benign Gemstone of Lord Brihaspati-Jupiter. The Gem of Good Luck and Prosperity! Jupiter is the largest and heaviest planet in the solar system and is known as the Deva Guru or teacher of the Gods. Jupiter is given the ministership among the assembly of nine planets. 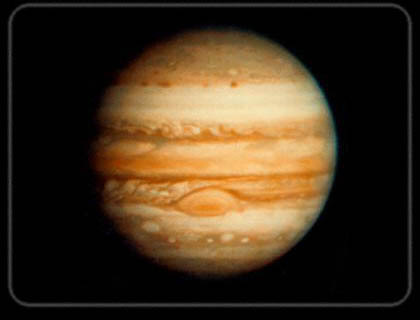 The Jupiter is a Sattvik and benefiting planet, Significator of luck and fortune. Jupiter is male, disciplined, obliging, and divine. It is a gigantic, self-illuminating planet, radiating more energy than it receives. Brihaspati (Jupiter) represents wisdom, religion in human life. This aspect of Jupiter is very unique and this all giving nature ensures that Jupiter is a kind planet. The planet that accepts remedies done is right earnest and devotion speaks about the magnanimity of Jupiter. Yellow Sapphire is the gem representing the positive powers of Jupiter. 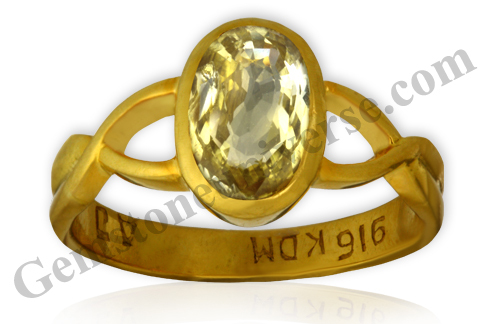 Yellow Sapphire is also known widely as Pushparagam and Pukhraj. It is known as ‘push raja’ in Sanskrit and as ‘Pukhraaj’ in Hindi. In some local dialects it is also known as the Peetmani. 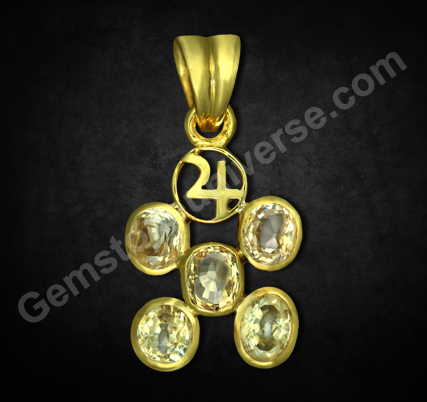 The wearer of yellow sapphire gets the knowledge of law, ethics, wit, wisdom, pleasure of getting issues, worldly happiness, Para physical bliss, physical power, cleverness, long life, good health, food grains, prosperity glory and mental peace, intelligence, physical strength, good health, better behaviour, long life, worldly happiness and prosperity in life and blessings to beget a progeny. 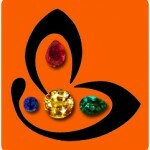 Pushparagam is one of the rarest and most coveted gemstone. The significant variation in Pushparagam Stone Price depicts how strongly the quality impacts in the market rate of this gemstone. 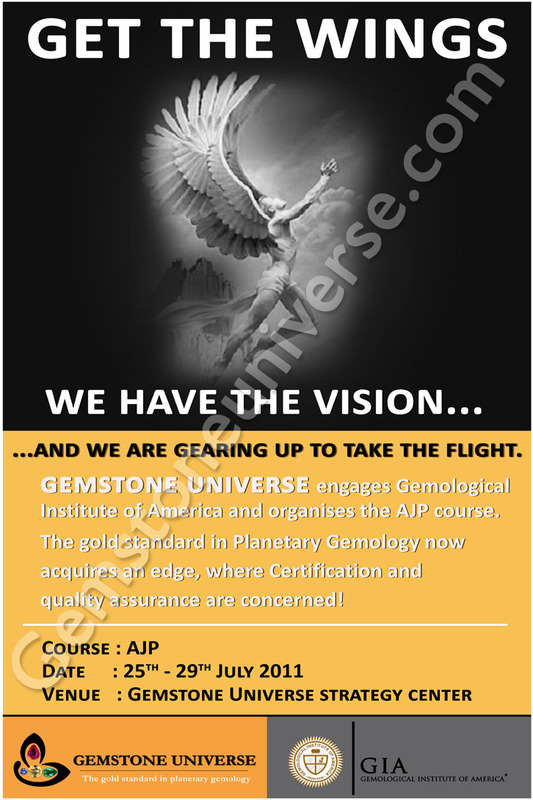 It is one of the most beneficial Gems for those involved in creative and academic pursuits such as Authors and writers as Jupiter represents knowledge, advocates, lawyers and Judges as it represents wisdom and businessmen especially of the trading class as it signifies financial prosperity. A pure natural yellow sapphire gem increases physical and mental strength, health and longevity of life. It promotes marital bliss, birth of a son, religious and related activities. Just like Jupiter is Pure and Sattvik so should be the yellow sapphire for the best results lord Guru has to offer. 1) The clarity has to be exceptional for a full movement of light. Always target a clarity level of above 90%. This is the benchmark for a Jyotish quality Gemstone. 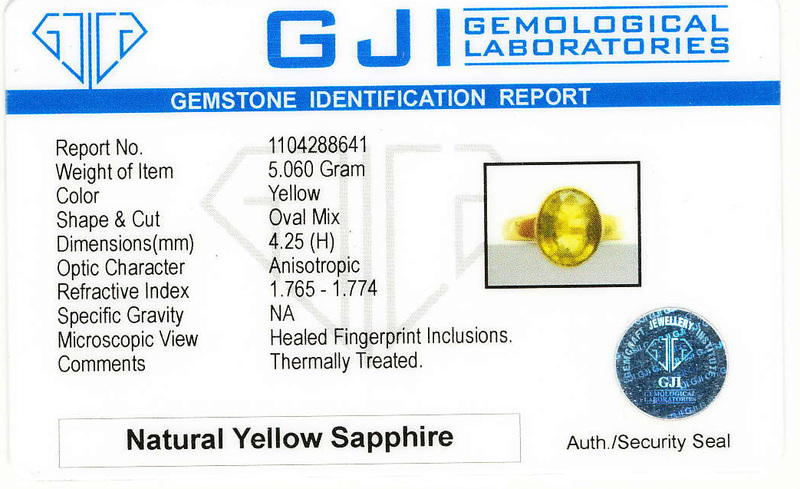 2) The Yellow Sapphire has to be fully treatment free. 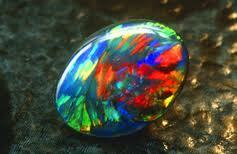 No heat, no diffusion or dye for it to be even considered for Astrology Gem therapy purposes. 3) Target weight of minimum 2 carats and above. 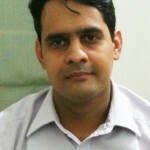 Correct weight shall depend on unique planetary positions and horoscope assessment. You can combine several small Gems of exceptional clarity and color to make up the weight but do not compromise on the 1st three parameters listed above. 4) If above 4 conditions are met your Yellow Sapphire shall deliver results and blessings of Lord Brihaspati. Even though the sacred texts list several flaws and the resultant bad effects of such flaws I am listing some basic negative flaws that should be avoided absolutely. These can bring bad luck, ill health, loss of wealth and in some cases very adverse results. – Avoid Yellow Sapphires with a black dot like inclusion inside. 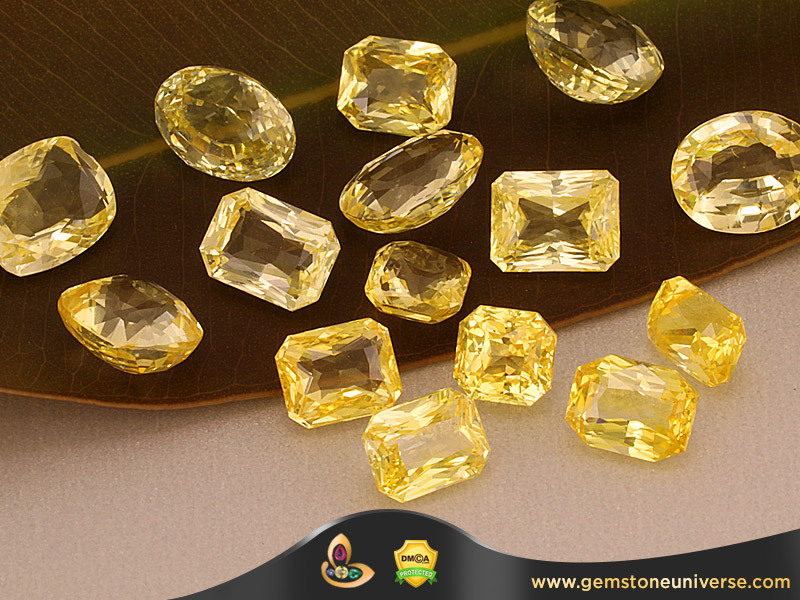 – Avoid Yellow Sapphires that have shade difference. Two shades of Yellow in the same sapphires. – Avoid Yellow Sapphires with web like inclusions inside. – Avoid Yellow sapphires that lack lustre and color. – Absolutely avoid treated Gems. A big anomaly of unethical trade is the mass marketing of Diffused Thai Yellow Sapphires as Kanaka Pushya Raga. This is the biggest problem especially in Southern part of India such as Bangalore, Hyderabad, Chennai and some sectors in Western India especially Mumbai. These are petrol colored Sapphires that give zero results for Astrological Purposes. Petrol color is not Golden Yellow color as described in the sacred texts. They go through Lattice diffusion or Surface diffusion and are very cheap, non gem grade material goods. They are no where Sattvik Vedic Gems. In Northern parts of India, You would need to watch out for Dyed Sri Lankan Yellow Sapphires in heavy weight such as 4-6 carats. There are primarily white in color andthey dyed to make yellow. Simple exposure to Sunlight will make them white. They will give bad results Astrologically. More information on this can be accessed in the Gem Pyramid Write up. You can access that by clicking here. The one who is the Teacher of the Devas and Sages, the one who is radiant and intelligent, The Lord of all the three worlds, I prostrate before that divine teacher Brihaspathi. Over the last one and half year, Gemstone Universe has presented before you 2-3 rings/ talismans from among those shipped out to the patrons on a daily basis. Not only that, each finished product’s details have been accompanied by a link to the photograph of the gemstone, as it was, before it was set into a talisman. 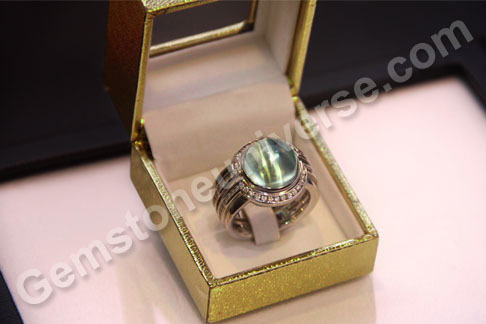 We gave you details about the loose gemstone to be viewed on the website, how it looked once set in the talisman, the price along with special features and benefits of each piece along with the Gemologists notes. These talismans had already been shipped out. These were featured so that you had an opportunity to realistically assess, compare and evaluate real time about Gem quality, photographs, prices etc. Today there are close to a 1000 Gemstones on the Blog as finished pieces in a short span of 15 months! One of the trickiest and the most time consuming photography is that of the gemstones. 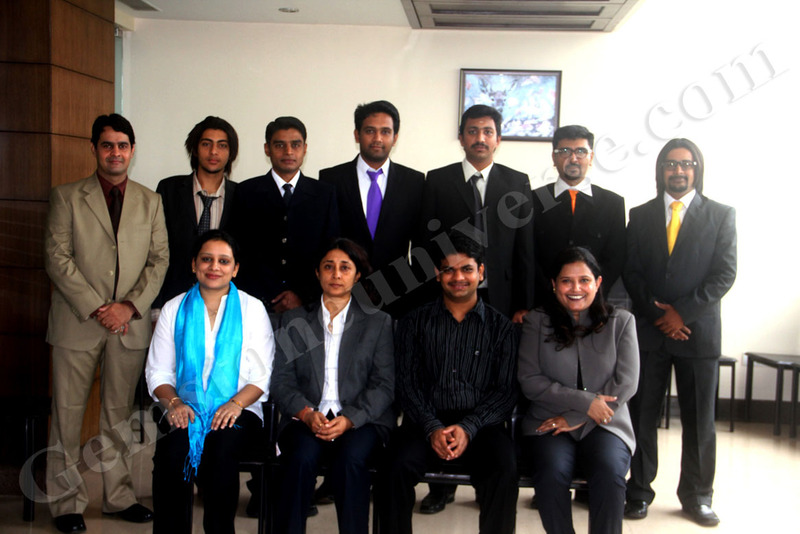 The difficulty increases manifold when the demand is for pictures that are of jyotish quality. At Gemstone Universe, tremendous care is taken to provide most accurate pictures showing features of each gemstone with great clarity and precision, so that cut, color, clarity and aesthetics can be adjudged to the best possible levels. Each gemstone has special optical properties and physical characteristics that need to be highlighted and this takes great amount of patience, precision and care. And this makes photographing each gem a daunting task. Please note that the gem photographs at Gemstone universe are not captured merely by a professional photographer, whose main objective is to capture images beautifully and brilliantly, but by trained and qualified gemologists who have gone on and honed skills in professional photography, so that the gemstones can be presented not only beautifully but more so with a view that would be appreciated by a gemologist concerned with features to determine jyotish quality gemstone. 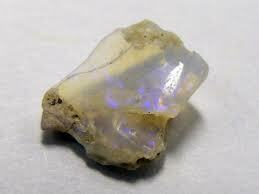 Features that are important are: Color, Cut, Clarity, Spread of the Gemstone, Inclusions. 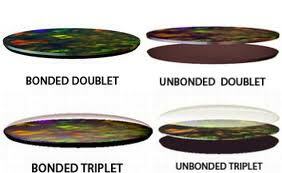 At Gemstoneuniverse we try to give you visuals that present you with most factual data, data that a Gemologist would appreciate and this is in sync with our vision and devotion to Planetary Gemology and 100 percent accurate implementation of Gemstone Therapy. You would be amazed to know that sometimes it takes up to four hours to get a single gem picture of the desired exactness! Emeralds are so versatile that even in the most controlled lighting environment they show minor shade differences at different quarters of the day. Similarly to catch special effects of Phenomenal Gemstones such as Chatoyancy in Cat’s eye Chrysoberyl is a herculean task. Now, with the current volumes, providing photographs in numbers is not a viable option for us anymore. You have references for over a 1000 finished talismans for research, analysis and comparison. Instead, we have decided to give you a better option that suits our purpose as well – and that is of video clips of some of the talismans made at Gemstone Universe! Now you can enjoy the complete beauty of the gemstone by viewing it in 3D and have a better experience! Looking forward to providing you with visual gem treats…Keep watching. (Notice that in all videos we make the Talisman/Gem move a full 360 degrees so that you can assess Gem Quality from the nearest point to the farthest point without any flash lights or optical effects. 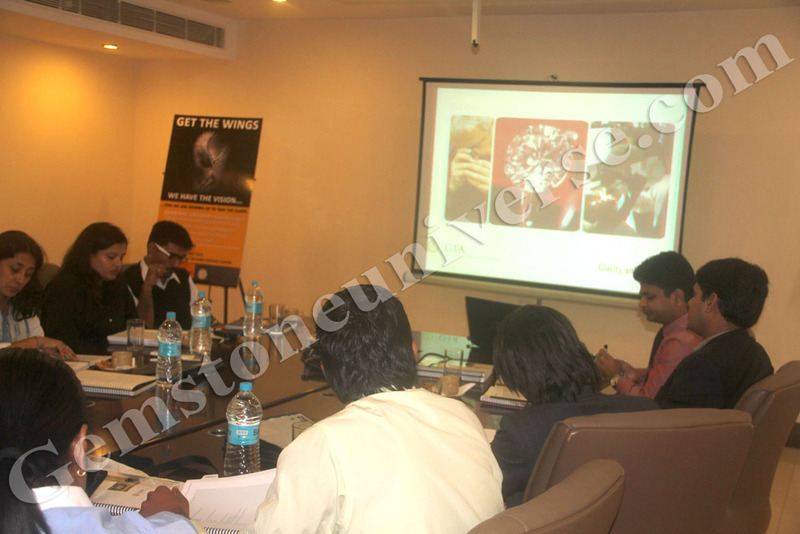 At Gemstoneuniverse we are factual and exact. Jyotish Gemstones are at the apex of the Gemstone Pyramid-They don’t require blinking torch/LED lights to look beautiful. The Love of Christ, the compassion of Buddha & the Divine Synergy of the 5 sacred elements! When you look at the panchratna talisman/ pancharatna talisman- panch=five: Ratna:gemstones, you cannot help but wonder, not only about its magnificence and beauty but also about its owner who has to be innately special and powerful to absorb and hold the energies simultaneously. The panchratna talisman has been created using top jyotish quality, flawless, eye clean, natural, untreated, unheated gemstones – yellow sapphire, ruby, cat’s eye, red coral and natural pearl. Designed after much and careful thought, the talisman has imbibed the best within itself. The energies that govern every individual are basically the same but are known variously across the world. 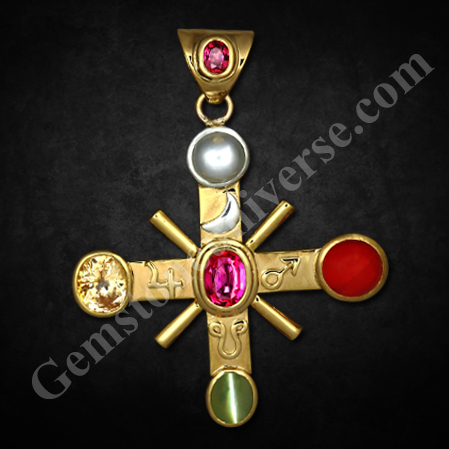 Whether you choose to look at it in the likeness of the holy cross that identifies with the Christian faith, or in the likeness of the dhamma chakra of Buddhist tradition, the pure saatvik energies and divine grace radiating from the talisman are both clear and apparent. This particular talisman is extremely powerful in that it combines the representation of the panch tattvas or the panch mahabhootas (the five basic elements that go into the make of any human being) with specific meaning to this patron, into a single talisman. It is the delicate balance and harmony of these elements that determine the balance and harmony which would in turn manifest in the life of an individual. Any excess or deficit in any one or more of – earth, water, fire, ether or air leads to an imbalance in the corresponding aspect of life. For instance if there is less of fire, the individual finds it very difficult to assert oneself. Or if there is excess of water, the decision making capacity is poor and mind is always in a flux! This talisman is a powerful creator of balance, and enhancer of perceptiveness and overall creates the foundation of personal power that is calm, just, balanced and yet majestic! It is about the effect of a presence that quietens everything else around and creates spell-binding awe. The gems have been set in gold and silver has been appropriately used to provide the ‘seat’ for pearl. 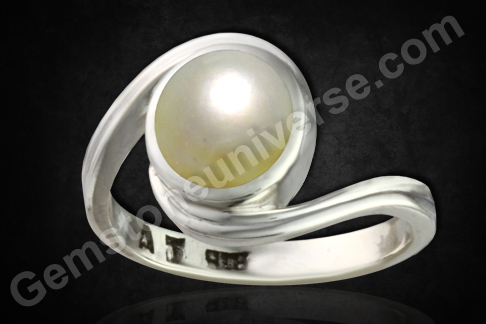 Vedic texts prescribe specific metals for stones and pearl must be set in silver. See the attention to Detail. Only the Natural Pearl has been bezel set in sterling silver and the sacred symbol of the divine moon has been handcrafted in silver. Another notable feature is that each gem has the symbol of its corresponding deity, standing in relief next to it. One has to notice clearly that the planetary symbols are singularly or a combination of circle, semi circle or a cross where circle represents the spirit and consciousness; the cross represents a very gross state- a state of tangled-ness with worldly objects and desires. The semicircle represents a state where it is neither, wholly spirit or wholly ‘of the world’! The placement of these elements to form a symbol is actually descriptive of the nature of that planet or the nature of its energies. The panchratna talisman is not just a gem talisman but brings indescribable added value by incorporating the highly symbolic elements within it. Made for a special patron with very special planetary positions it is one of those special talismans that shall occupy a place of pride in the Gemstoneuniverse heritage. Deo Amabiles Et Hominibus-Pleasing to God and to Men! Out of the 9 sacred Pearls that the Garuda Puran mentions, Chandra Mani or Oyster Pearl is the one to harness the Moon energies! Look at this beatific Pearl. Selected Rings, Pendants and Talismans made available to Gemstoneuniverse.com patrons in June 2011. Comments At over 3 carats, this Natural Pearl from the Australian seas is a natural wonder! In these days a Natural Pearl is by itself rare and to get one at this size is rarer still! With translucence that is hypnotic and rose overtones which are charming, this Sattvik Pearl is aglow with the best of the Moon’s Jyotish powers! Set in a sterling silver ring and all set to grants its immense gifts! The Garuda Puran mentions the existance of 9 kinds of Pearls. How to avoid fake pearls. Click here. This is the Pearl that is formed by an accident of Nature, wherein a microscopic intruder or dust particle get lodged in the oyster and to protect itself from the irritation caused, the Oyster secretes Narce, which over time becomes a Pearl! This is an extremely rare formation within the mantle of the Conch. These Pearls are non-nacreous and come in different colors like, White, Pink, and Yellow and sometimes of a deep reddish tone. These cannot be cultivated artificially. This Pearl is found in the stomachs of Bamboo eating animals. These Pearls are also sometimes of an oblong shape. They are rough and dry and are in the texture of Camphor and also the color can sometimes be green. This Pearl is found in several kinds of Fishes. This pearl is actually a Bezoar, which is a mass trapped in the gastro-intestinal tract of the fish. These Pearls are slightly translucent and vary in color from pink, white and light green. This Pearl is also a kind of a Bezoar found in Whales. These Pearls too are moderately translucent and are slightly rough textured and are the size of a small egg. This Pearl is found in the heads of very old boars. 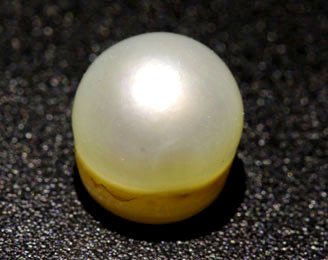 A Boar Pearl is typically dark colored, marble-sized, in an uneven but smooth spherical non-porous surface, both opaque and partially translucent. These pearls are obtained from the hood of cobras over the age of 100. Cobra pearls are typically egg-shaped and translucent, transparent, or semi-translucent. They appear in a range of colors like golden, green, red, blue, pink, white, black and are supposed to be slightly radiant. Note: Till date there are no verified authentic records and documentation of what a Nag Mani Looks Like. Hence no picture here. Cloud Pearls are said to have fallen out of the sky. 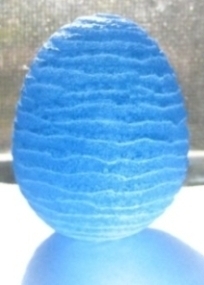 They are traditionally known as approximating the size and shape of a chicken egg, with a translucent blue color, and having a distinct spiral running from bottom to top of outside surface area. 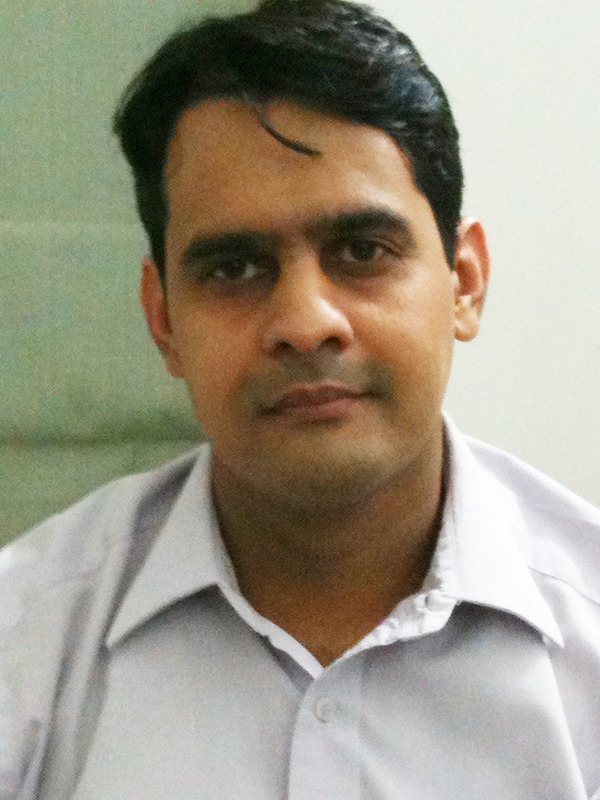 Picture courtesy: All pictures above courtesy Wikipedia. 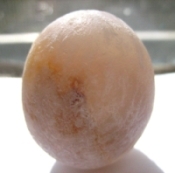 Picture of Oyster Pearl- the authentic Natural Pearls for Jyotish use-Courtesy-Gemstoneuniverse.